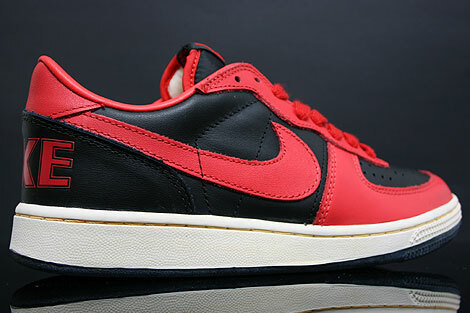 Here comes the Nike Terminator Low Vintage in the Black Comet Red Light Bone colourway and a highly-underrated sneaker. 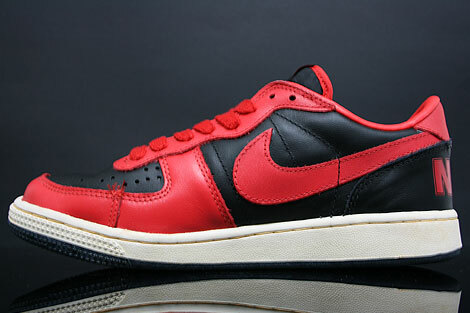 Classic shape made of fresh black and red smooth leather, comet red swoosh. 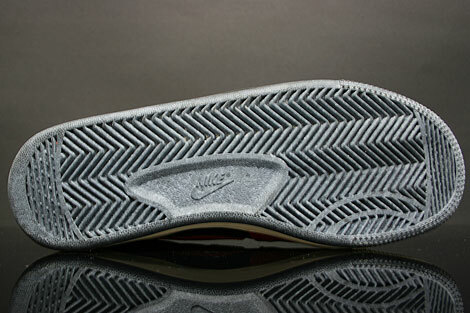 Featuring a vintage/black sole unit. Comes with a extra pair of black laces! 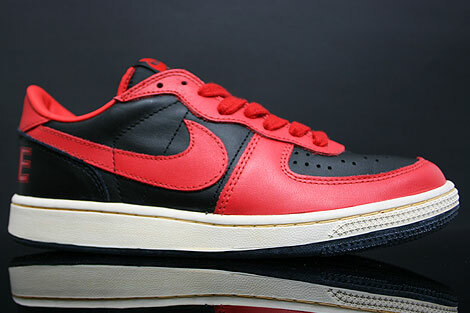 The Nike Terminator high-top was introduced in 1985, and was distinguished from the similar Nike Dunk by its unusual logo - NIKE in large letters across the heel of the shoe. Colorways included white with brown, yellow, and orange trim, white with gray trim, and, most commonly, the Georgetown Hoyas' colors of gray and dark blue. Some were even specifically made for the Georgetown fan market with "Hoyas" on the heel instead of "Nike." The Terminator also featured a lace loop on the heel to facilitate wrapping the laces around the shoe; this and the logo were styles shared by other basketball shoes of the time.